Steve Darrington, piano, vocals and harmonica, was the house pianist and harmonica player at the legendary Nags Head, High Wycombe during the ‘60’s and 70’s when it was blessed by the auspices of promoter Ron Watts. Visiting blues acts of the day included Howling Wolf, Otis Spann, Lightning Hopkins, Freddie King, Albert King, Lightning Slim and Whispering Smith, Juke Boy Bonner, Arthur ‘Big Boy’ Crudup and scores more. Fleetwood Mac, Status Quo and most famous bands appeared there, and it wasn't unusual for relative unknowns like Paul Simon to do the interval spot. Over the years, Steve has worked with Lonnie Donegan, Marty Wilde, Everly Brothers, Arthur Big Boy Crudup, Billy Boy Arnold, Gene Connors "The Mighty Flea", Mickey Baker, and many more. He has appeared on over 50 albums. All this, despite being severely disabled as a result of Polio on his sixth birthday. Steve explains: "My parents were told to forget about me and put me in a home - thank God they didn't, but instead gave me a huge amount of help and support at great cost to their own lives." For a full musical history see below. 1965-1967. SPIKE & STEVE. This is where it all started. Steve heard Ali Schmidt playing Sonny Boy Williamson licks in the changing rooms at school and knew he could do it too. He teamed up with guitarist Spike Jones, taught himself to play harmonica and sing, then set off to conquer the local folk and youth clubs at the tender age of 16. 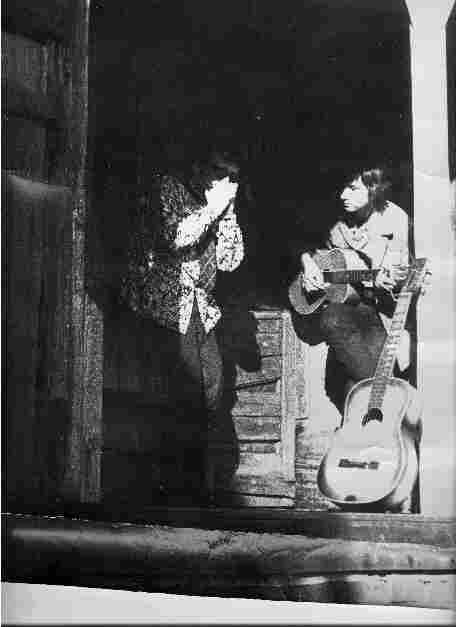 On 20 December 1965 John Mayall's Bluesbreakers with Eric Clapton, John McVie and Hughie Flint played a school dance at the Royal Grammar School, High Wycombe. "I thought if these guys could make a living out of music, so could I" said Steve. 1965-1967. THE DIFFERENCE, SOMEONE ELSE, PINK SAM & THE SHAKERS etc. Moving on to electric bands with Spike, John Mackay, Alan Palmer, Jerry Castell, Nimrod Ping, Paul Elmidoro, Peter 'Rasher' Robinson, Bonzo Moseley and others. Many bands were featuring keyboards, so Steve taught himself on a Vox Continental organ, moving on to piano. 1968-1969. MAHOGANY GUINNESS, becoming MAHOGANY. 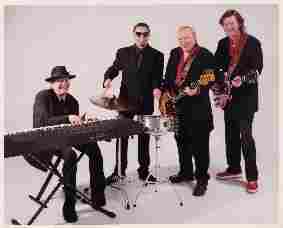 John Mackay (guitar), Malcolm Graham then Joe Southall (bass), Paul Hobbs (drums) and Steve on harmonica and piano. An excellent Chicago-style blues band, recognised with a recording contract from CBS Epic (USA) and no less a producer than Tony Clark, famous for producing The Moody Blues' concept albums and King Crimson. Collectors are still locating brand new copies of the Mahogany album in the United States. In Blues Matters magazine a correspondent wrote: "Having listened to the album recently, the sounds stand up well to other recognised blues bands of the era like John Mayall, Chicken Shack, Ten Years After and Savoy Brown". Such a shame it was never released in the UK and has only in recent years become available on CD. For a while the band became Wildcats, backing Marty Wilde! 1970-1974. BREWERS DROOP. The legendary, infamous, bawdy, risqué, Cajun R&B band with John Mackay (guitar), Malcolm Barrett (bass, violin), Bob Walker (drums), Ron Watts (front man) and Steve on piano, accordion, harmonica, clarinet, sax and organ. The Droop shared stages with the best artists in the world, played in every town in England (twice!) and held a 10 month residency at the world-famous 100 Club, London. For a taste of festival life, look at Great Western Festival 1972 - what a line-up! The band's bar bill was about £27,000 that weekend. Other members included Derrick Timms, Steve Norchi and Mark Knopfler. Two albums were recorded: "Opening Time" and "The Booze Brothers", the latter with Knopfler, Dave Edmunds and Pick Withers. The band still receives favourable mentions in The Guinness Book Of Rock. In1990 the second album, recorded in 1973/74 and featuring Mark Knopfler, Pick Withers and Dave Edmunds, was re-released. Music Week wrote: "This was the forerunner of Dire Straits". 1974-1976. SHUCKS. Award-winning Western Swing band with Paul Sharman (bass, lead singer), Spike Jones (guitar, banjo, vocals), Pete Sharp (guitar, mandolin, vocals), Bob Walker (drums, vocals), George Ricci (sax), and Steve on piano, harmonica, accordion, clarinet and vocals. Played on the same circuit as AC/DC, Dire Straits and top pub rock bands of the time. 1976-1979. Went courting and got married! 1979-1982. ROXON ROADSHOW. A monster, at times 12 piece country rock band, with three fiddles, dancing girls, The Works! Personnel included Steve Simpson, Bob Pearce, Bob Morledge, Bob Newman & Carol Gordon, Drew Taylor, Scraper Bell, Keith Nelson, Denis Allen, Gerry Hogan, Graham Walker, Gus York, Barry Smith, Jacqui, Jenny Notley, Debbie, Dusty Dunsterville, and many others. 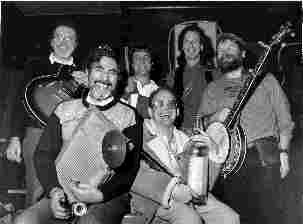 Regular favourites at the Easter Wembley C&W Festivals, they were called Britain's top session musicians, playing and recording with many artists. The Roxon Roadshow was the first band ever to feature each week on BBC TV's six week series of the event and toured Sweden at the request of Abba's agency. There was also a 60 minute special live radio programme of The Roxon Roadshow on BBC Radio 2 for Country Club. Steve's album “London Picker” found favour on country music programmes around the world, and featured “Cat Tail Chase”, which became the signature tune for over 60 radio programmes. He comments: "This was one of the best times of my life, with my (now ex-)wife Celia and our children Simon and Toni taking a full and active part. Happy Days!" 1983. LONNIE DONEGAN. "A wonderful year with a great guy, The King of Skiffle, an excellent musician and a fantastic singer." Paul Henry (guitar, fiddle), Chris Hunt (drums), Bob Rennie (bass), and Steve on piano. Many legendary guitarists credit Lonnie with being their inspiration. 1 983-1986. THE LITTLE BIG BAND. Popular duo with a residency in Piccadilly CIrcus and prestige appearances elsewhere, featuring Derek Mandel, a fine singer and guitarist, and Steve on vocals, harmonica and arranger keyboard. 1984-1992. MAGIC. (Middle Aged Gents In Concert!) Collaborations with many different artists Steve had worked with in the past, including Archie Leggett (bass) and Roger Dean (guitar). Inspired a series of gigs entitled "20 Years of Rock... and still no RRolls!" THE BLUESSHAKERS. 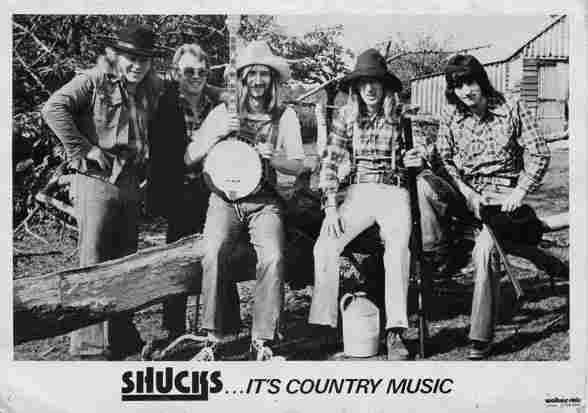 Guesting in a superb blues band with the main members of the 1970s outfit 'Shucks' (Paul Sharman, Spike Jones, Bob Walker), Screw Sawney and, on occasions, Mike Doyle. 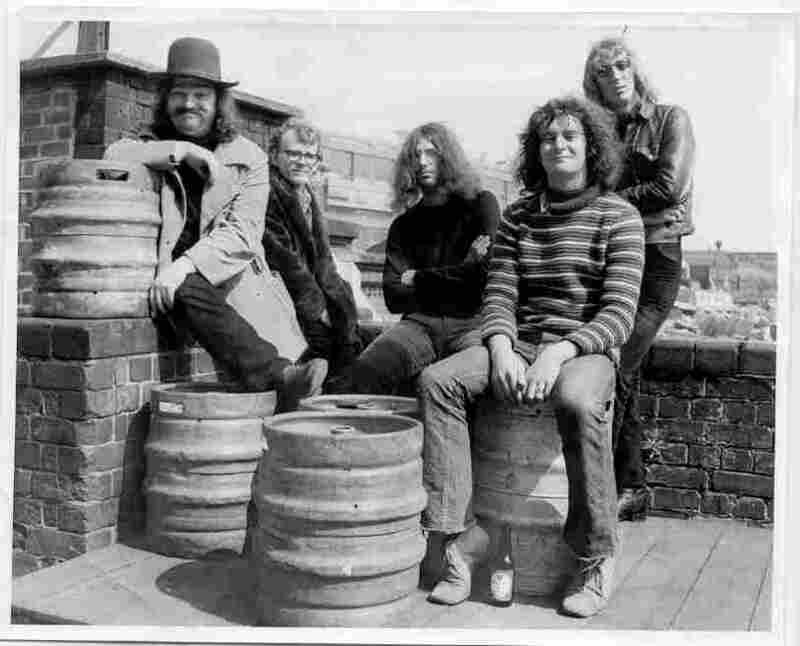 This Band had a weekly residency at the famous Nag's Head, High Wycombe that lasted years and packed the place. 1993-1999. THE BOOGIE BAND. Back on piano and harmonica with Paul Sharman (bass, lead vocals) and Spike Jones (guitar) plus Mick Scatley (dru ms). A swinging little band that played stately homes, jazz, rock, blues and world music festivals and many private parties, including Benny from Abba's birthday party. Steve recorded three albums with them but had to stop touring after an accident in 1999. 2000-2002. Resident entertainer on keyboards and vocals at The Gillan Hotel, Swanage. 2001-current. Organiser of Swanage Blues Festivals. Occasionally sitting in with bands, no longer playing solo piano due to arthritis but keeps his hand in on lightweight synthesizer. From 2012 publisher of the monthly local gig guide "Swanage - Live Music and more!" From 2015 co-promoter of Sunday afternoon parties at the Legion, Swanage.